Allerdale Borough Council’s Executive have today [21 November] agreed to sell Keswick’s iconic Moot Hall building to the Battersby Hall Trust, ensuring it remains as a building for the community to use. The decision to sell the Grade II listed three-storey building, situated in the centre of the town’s Market Square, was originally agreed in 2015. However, during routine maintenance it was discovered that the building needed extensive repair work to be carried out before any sale could be completed. The fact that the building is listed meant this took some time for the work to be designed and carried-out. The Battersby Hall Trust’s objective is, “the provision and maintenance of a Hall for the education and use of the inhabitants of Keswick without distinction of political, religious or other opinions, including use of meetings, lectures and classes and for other forms of recreation and leisure-time occupation with the object of improving the conditions of life for the said inhabitants.” The Trust has been without a hall since their old site was sold and the charity felt that the Moot Hall meets their objectives and also provides Keswick with a meeting place in the heart of the town with funds provided by local benefactors and donations. 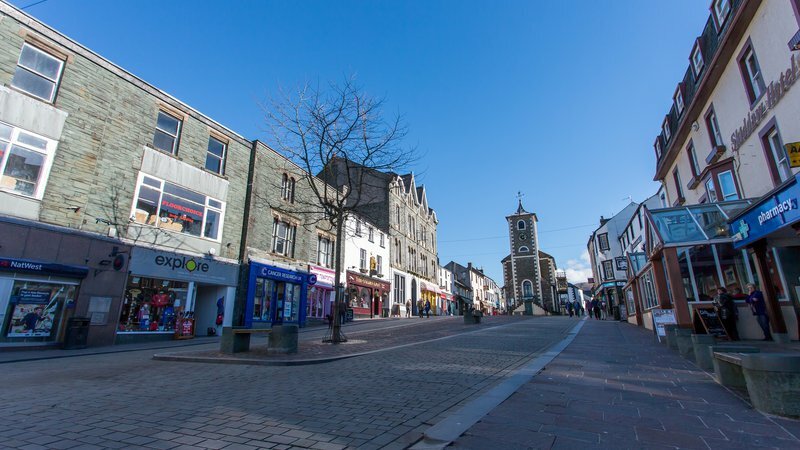 The building had been listed as an asset of community value by Keswick Town Council in 2014 and the Battersby Trust then contacted Allerdale Borough Council with regards to buying the building. After the statutory six-week period had passed, the Battersby Trust were the only community organisation interested in buying it. Financial details of the sale cannot be disclosed publicly at this time for commercial confidentiality reasons.